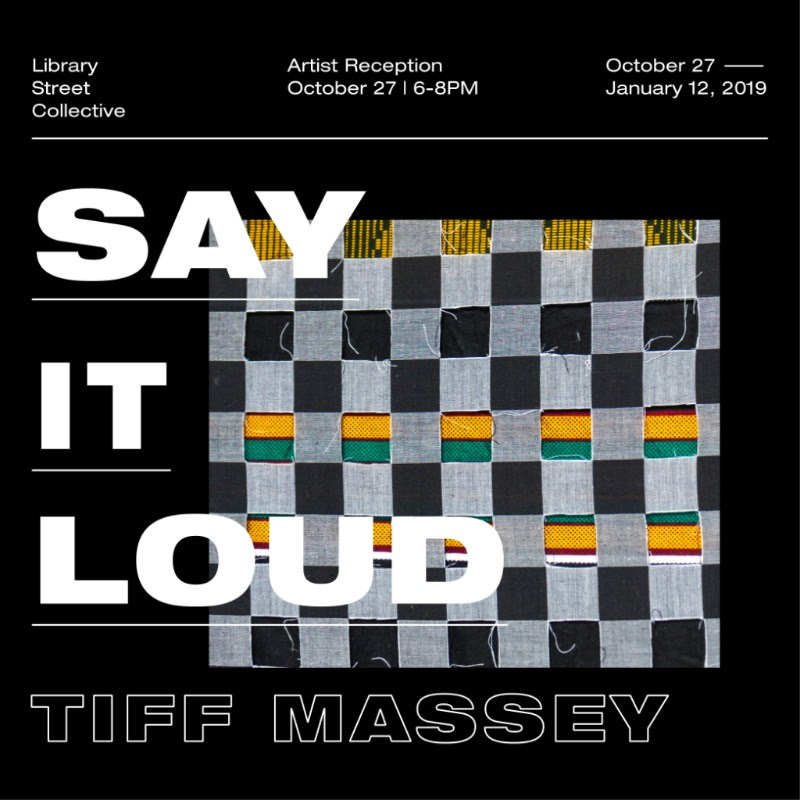 SAY IT LOUD – a solo exhibition of new works by Detroit-based multi-disciplinary artist Tiff Massey – opens on Saturday, October 27 from 6-8pm at Library Street Collective, 1260 Library St, Detroit, MI 48226. In contrast to the increasing number of artists that call Detroit their home, Massey was born and raised, receiving both her BA and MFA in the metro area. As her fellow grads left the city for opportunities elsewhere – and later arrived back from NY and LA – she stayed firmly fixed in Detroit. As a result, she has become a powerful and dedicated advocate of local talent and a voice against the rapid gentrification of its neighborhoods and creative culture. Massey’s work ranges from wearable sculpture to large-scale public works and performance. She is the first African-American woman to graduate from Cranbrook Academy of Art’s MFA in Metalsmithing, and has been consistently influenced by 1980s hip-hop culture, African art and Japanese fashion. In creating pieces meant to be worn as well as large-scale jewelry and interactive works, she involves the viewer in their experience, bringing dialogue about space, the body, and racial and gender politics. For SAY IT LOUD, she has created her most ambitious show to date that encompasses sculpture in a multitude of metallic materials, as well as penetrating 2-dimensional textile works layering collage, gingham and Kente cloth. SAY IT LOUD will open on October 27 at Library Street Collective with an artist’s reception from 6-8PM. For more information and an upcoming preview catalog, please contact info@lscgallery.com.